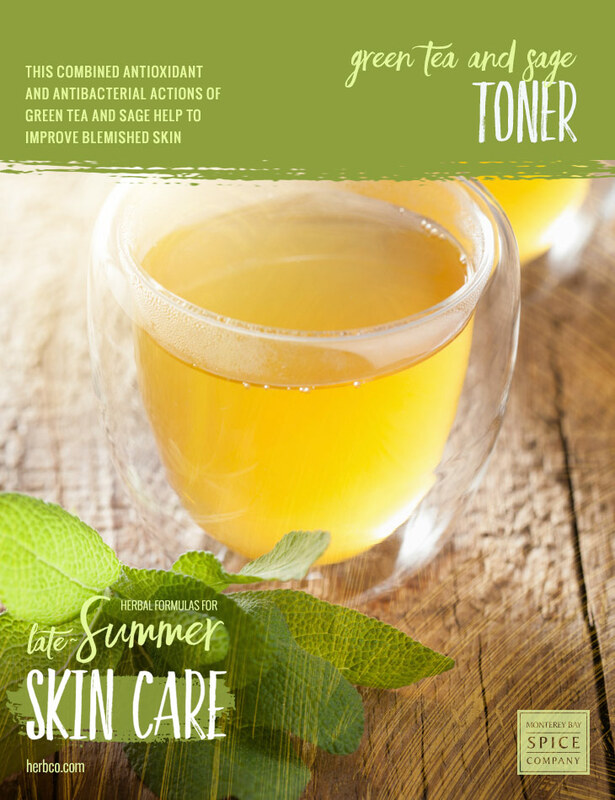 This combined antioxidant and antibacterial actions of green tea and sage help to improve blemished skin. Use after cleansing and follow with a light moisturizer, if you wish. Combine the boiling water and herbs in small bowl; let steep for 15 minutes. Strain and discard herbs, reserving the liquid. Add the witch hazel extract and lemon essential oil, if using. Stir to combine. Transfer the toner into a clean bottle and label.